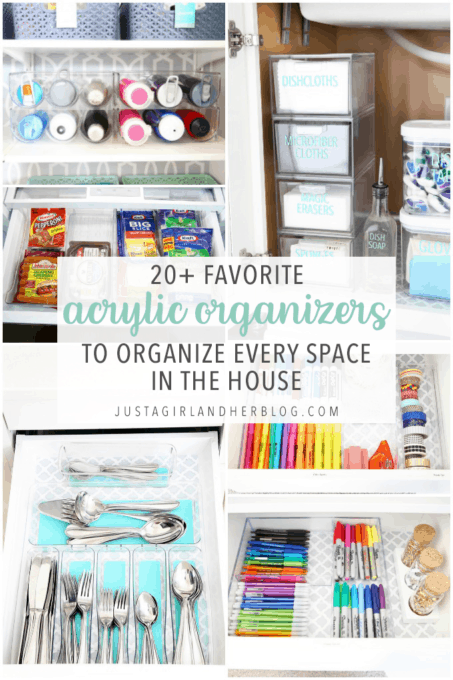 Acrylic organizers are a great way to corral various household items and make any space both functional and beautiful! 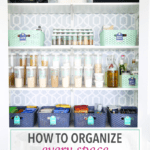 I’ve rounded up more than 20 of my favorites that can help organize every room in the house. I may be a smidge obsessed with acrylic organizers at the moment. I think they make a space look so crisp, clean, and beautiful, and I’ve found myself reaching for them more and more during my recent organizing projects. Click on the images below to be taken straight to the product. 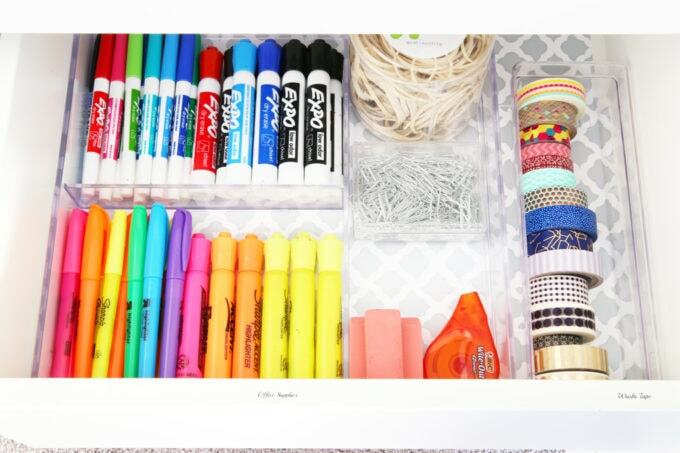 Acrylic organizers are perfect for drawers because not only are the functional and help keep everything in place, but you can also add a cute pop of pattern with a pretty drawer liner. I used this organizer + this contact paper in the silverware drawer in our previous kitchen, and it made me smile every time I opened it! And I used this simple acrylic organizer to corral some writing utensils and office supplies in the drawers of my PAX storage unit. 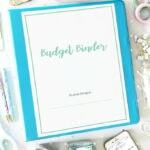 I’ve been using this system for several months now, and it’s still working really well for me! 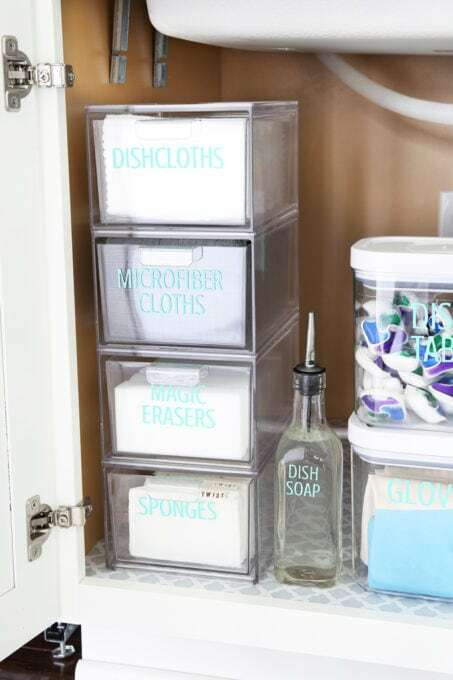 I recently used cute acrylic drawers in the cabinet under our kitchen sink, and they ended up being the perfect size to hold cloths and sponges. I also added labels using my Silhouette machine + adhesive vinyl. Probably one of my favorite organization hacks that we’ve done in this house is to use a clear plastic wine bottle holder to store our water bottles! We keep them in our pantry so they’re easy for the boys to reach, and I’m no longer dealing with water bottles falling everywhere in our cabinets. 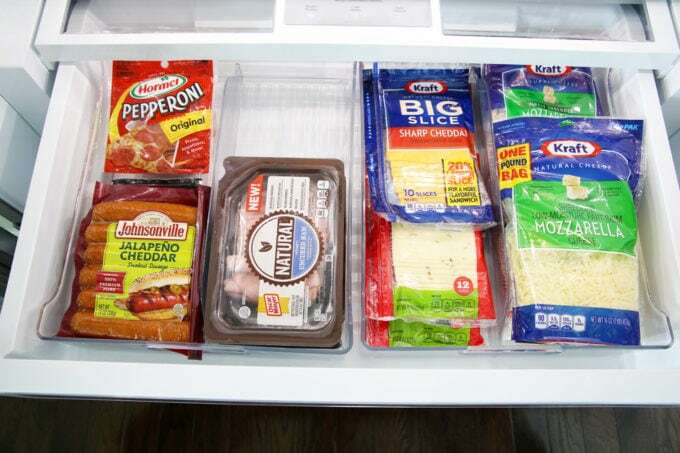 When I organized our refrigerator recently, I grabbed a few clear bins to corral various items, and they are still working well for us! They come in all shapes and sizes, too, which is a plus! 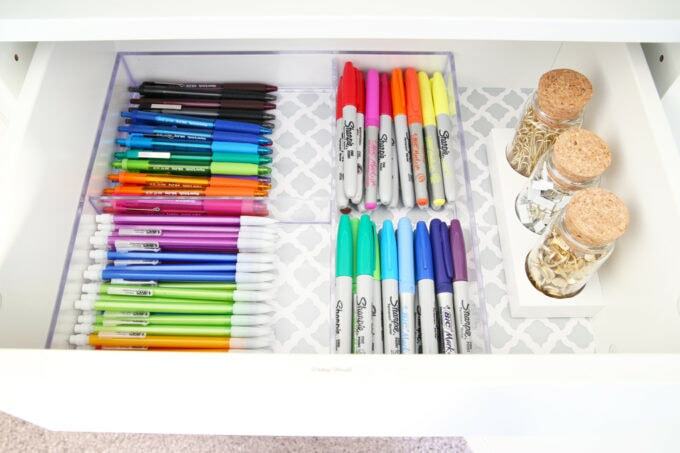 There’s nothing better than a beautifully organized desk! 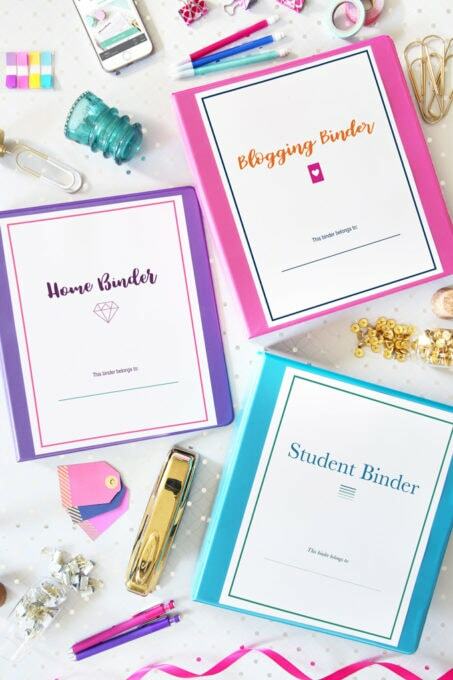 These acrylic organizers would make a gorgeous addition to any desk space, and of course they’re super practical too! 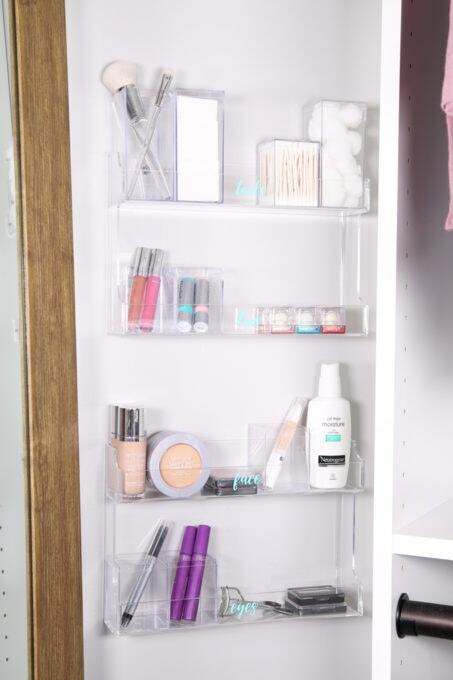 When I organized my makeup, I again turned to acrylic organizers to help me out! I went a bit unconventional and used a few of these clear spice racks to hold my makeup supplies, and has ended up being a great solution for my space! 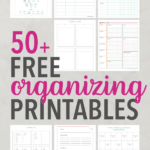 What types of organization tools are you loving lately? I’d love to hear about them in the comments! acrylic organizers are my fav. But they can be sooo expensive up here in Ontario. we don’t have a fun store like Target anymore. Always looking for deals or I like making my own. Looks great Abbey. They’re the best, aren’t they? No Target? I’m so sorry! 🙂 Have a great day, Amy! Target.com is everywhere and delivers ! I love the wine bottle holder for water bottles! My cup and bottle cabinet is such a mess and things are always falling over and driving me crazy. I’m going to find a spot for this. Thanks for the inspiration! I was so excited when I found that hack! Ours were a mess too… it has worked great! 🙂 Have a great weekend, Kim! Like Kim said, the wine rack hack is amazing! In looking through these photos, my favorite thing about these acrylic organizers is that they don’t add visual bulk the way a solid/opaque container would. I am planning to reorganize my bathroom, and I think you’ve convinced me to go acrylic! Thanks for sharing! 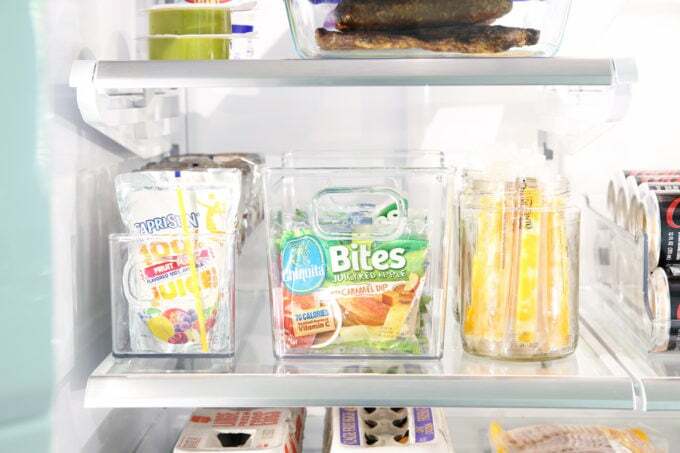 Love your organized refrigerator spaces, under the sink and more! 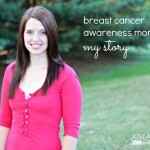 You are an inspiration! 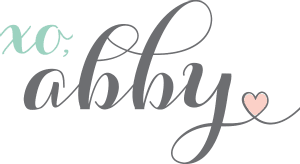 Hi Abby, Just wondering….do these acrylic organizers scratch easily. I’m looking for some kitchenware organizers and don’t want something that will scratch when I place flatware, knives, etc. in them. 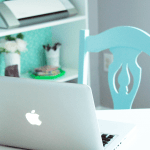 Thanks…..your organized spaces are always inspiring! Hi, Debbie! I haven’t had trouble with mine getting scratched. We’ve used the ones in our silverware and utensil drawers for about two years now, and they are still in great shape. I hope this helps! Have a great day! Hi Abby, loved these organisers. I think they look so cute and useful for your home too! Everyone could use a wine holder! I use the acrylics for make up, they’re great ! 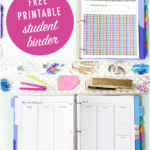 Thanks for inspiration on the other fun ways to use them ! Thank you so much, Cheryl! The products are shown using RewardStyle’s “Boutique” widget. I hope this helps! Have a great day! Definitely looking into using these for cutlery. We’ve just moved into our new apartment and the drawer is way too small for most of the cutlery organizers you usually find. 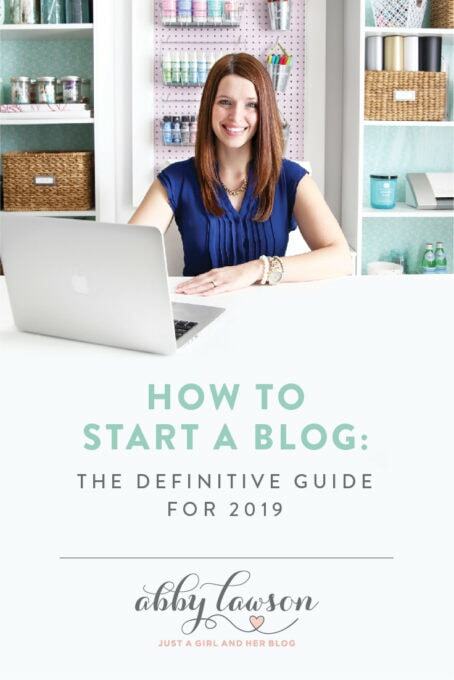 Some great hacks in here! So glad they were helpful, Adam! Have a great day! They’re the best! 🙂 Have a great day! 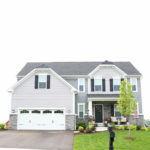 I love your website! You have great videos and posts! I was wondering how you keep everything so clean in your home. That is one area that I really struggle with. 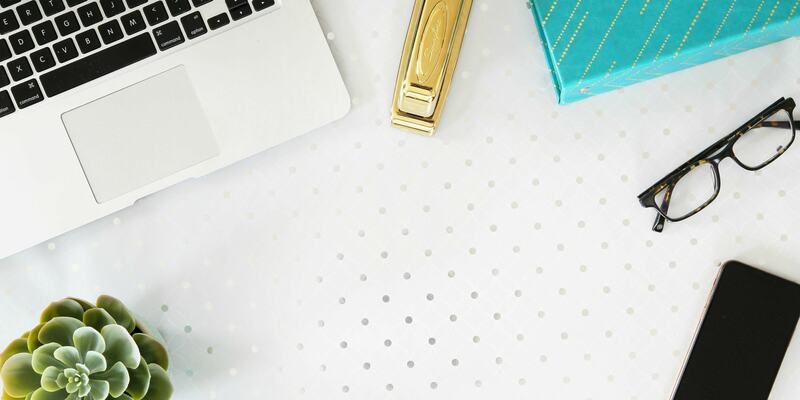 Perhaps you would consider creating a post for how you handle cleaning (frequency of dusting vs deep cleaning), and whether staying organized plays a role in your cleaning routine (or if you see them as two separate/isolated tasks). Hi, Diana! Thank you so much for your sweet words! I admit, I love to organize, but I am not a cleaning guru, lol. 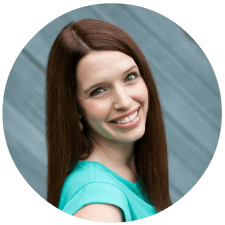 I always look to my friend Becky from Clean Mama (https://www.cleanmama.net/) for all of my cleaning tips– she has so many great ideas, routines, and schedules on her site! I hope this helps! In love with acrylic organizers too! Great post indeed!! 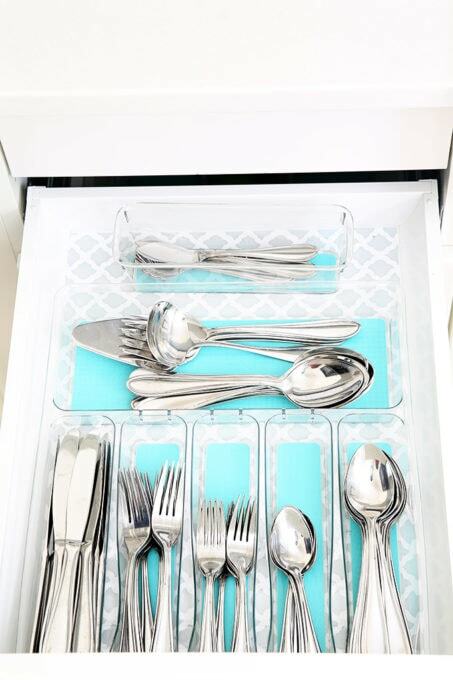 I love how you used contact paper in your silverware drawer! Definitely have to try that! Looks fun! Thanks, Jana! It adds a little something, doesn’t it? 🙂 Have a great weekend! Hi, Kathleen! 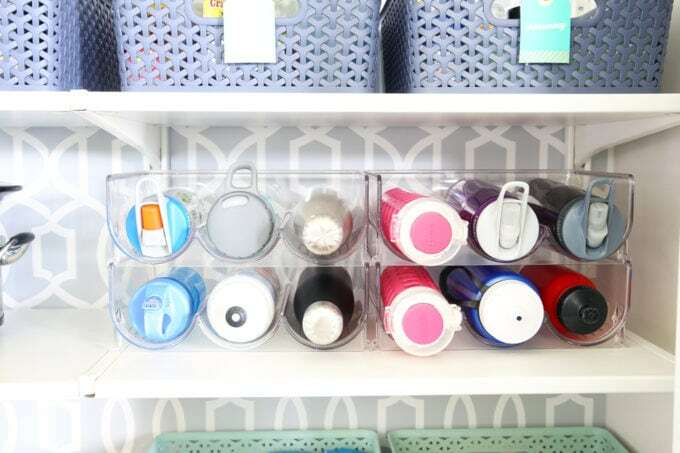 I have a post and video with tips for organizing Tupperware here: https://justagirlandherblog.com/how-to-organize-food-storage-containers-tupperware/ . I hope this helps!